It's reporting season and we are excited to help you report your 2018 sustainability actions! To be recognized in 2019, your business must report by Jan. 31. 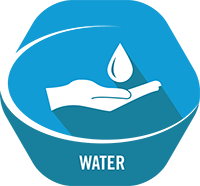 Report your actions in your myClimateWise Account - Go to https://secure.fcgov.com/climatewise/ and enter your email address. You will be sent a link to login to the system. When you follow the link, your businesses account will come up. Go through each badge and check off all strategies your business completed in 2018. 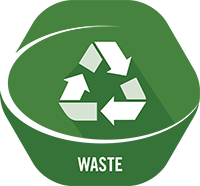 Make sure to fill out the ClimateWise Waste Tracker. please let us know. We have other options for you to report and be recognized in 2019. Have questions about reporting? Contact us. ClimateWise offers five primary badges and one specialty badge for your business to earn. 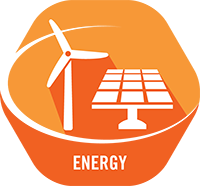 Each primary badge (Energy, Water, Waste, Transportation and Social Responsibility) offers a menu of strategies for your business to choose from. A strategy refers to a mixture of best management practices, actions, projects, innovative ideas, challenges and educational events. Strategies are divided into the following categories under each badge: Act, Educate and Plan, Quantify and Reduce and Innovate. They are mainly worth 1-3 points each, although a select group of strategies offer up to 10 points for projects that achieve significant greenhouse gas (GHG) reductions. To earn a primary badge, you must claim a minimum of 8 points under the badge. Click on the badges below for more information and resources. The specialty badges run for a limited time and are designed to highlight current topics and innovative projects. 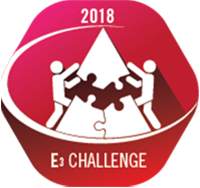 The 2018 specialty badge is the Education and Employee Engagement (E3) Challenge Badge. Your business can earn a level each year based on the total points you achieve across all of the badges. myClimateWise is the web portal where you report your data as a Partner. Login information will be sent to you once you complete the ClimateWise pledge. GHG reduction potential - did the scope of your project reduce greenhouse gases? Was this a small, medium or large reduction? The EPA has a great page on measuring your impact that can help you understand the scope of potential reductions. Ease of implementation - was this a quick and easy project to put in place? Did you have to research and gain buy in from management? Time Commitment - how long did the project take? Did it take a significant investment of time, or was it a short, one time project? Monetary Commitment - considering the size of your operating budget, was the project a significant expense for your business? Employee involvement - did your project involve several employees or was it limited to just a few? Did you make an attempt to share out your project and involve as many employees as possible? Analyze your answers to the questions above. If the project was fairly minor, quick to implement, involved few employees, and had a small budget, assign the project 1 point. If it took more time, money, employees, and commitment, assign it 2 points. If the project took multiple weeks to implement, involved several employees, and was a significant budget expense, assign it 3 points. For a combination of these factors, use your best judgment. If you need help, don’t hesitate to contact Y2xpbWF0ZXdpc2VAZmNnb3YuY29t. The deadline to report and earn a level is January 31. If you are unable to obtain all your data by January 31, please contact Y2xpbWF0ZXdpc2VAZmNnb3YuY29t and we can work with you. 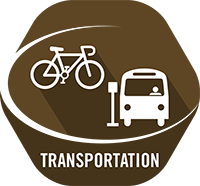 Points should only be claimed for actions completed within the Growth Management Area of Fort Collins. Due to the wide variety of businesses within Fort Collins, ClimateWise recognizes that some businesses might not be able to implement a certain strategy exactly as written. The primary consideration when working to claim points should be to fulfill the intent of the strategy. 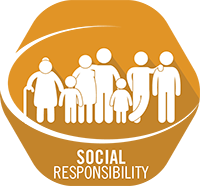 To the fullest extent possible, employees of the business should be aware of involvement in the ClimateWise program. 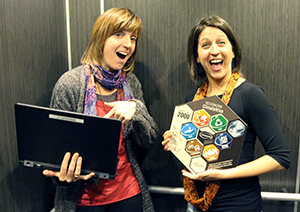 We encourage staff that work on ClimateWise to spread the word and share what badges have been earned with employees. For businesses that have multiple buildings within Fort Collins, points can be claimed if at least one building meets the intent of the strategy. Report as you go. As your business achieves strategies in the program, use myClimateWise to report and watch your points add up over the year.